Take a deep breath. Now take a shallow one. Did you hear that sound? Did you notice that whether you inhale deeply or barely move your diaphragm you can only take one breath at a time? ﻿Many creatives identify themselves with the Levites in the Old Testament. The ones who led worship for the people of God. Do you know what their name means? 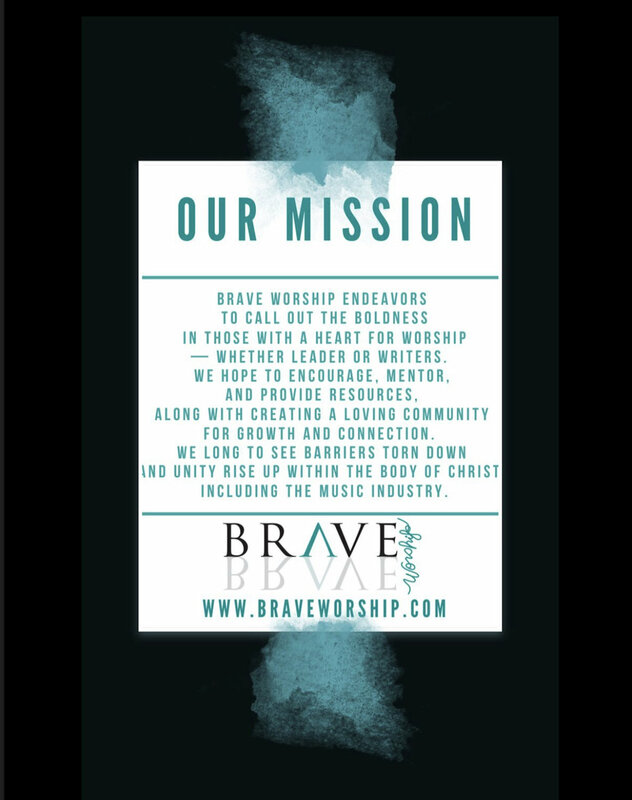 Brave Worship firmly believes that Community = Courage! But the one I’m going to use today, you guessed it, 2 Chronicles 20! The story of how the Moabites and Ammonites were defeated through praise! You remember that story right? Oh if not, read it right now! We all LOVE this passage don’t we..haha..we’re always using it to kinda prove our value aren’t we? To prove that what we do is important “on levels that other people just can’t understand”...I kid, I kid, haha. You know it’s true ;) But seriously, why do we love this passage? As I was reading over the passage this week, something stood out to me that hadn’t before. 18-19 Then Jehoshaphat knelt down, bowing with his face to the ground. All Judah and Jerusalem did the same, worshiping God. The Levites (both Kohathites and Korahites) stood to their feet to praise God, the God of Israel; they praised at the top of their lungs! ﻿Wow. Something about that story resonates deep within us, doesn’t it? Their worship is still leading us today, calling out for us to join the fight. The worship warrior inside us longs to join with those who bravely stood and sang long before us. And it’s through that longing that we begin to hear their shouts of praise, perhaps softly at first but then growing louder and louder! This was accomplished through a group. A community of worshippers. The joined ones. They were joined to God but they were also joined together. As you march TOGETHER you will be brave. You will be fearless. And you will write and you will lead brave worship! This is what Brave Worship is about. This is our heart and our purpose. Truth is, our standards and expectations of ourselves can be unrealistic. If we compare our current situation to our dream Pinterest board, or a perfectly curated Instagram feed, it can feel really discouraging. How do we deal with the pressure that we (even unknowingly) put on ourselves? We can't fight for equality and hashtag #girlpower on all our photos and use Deborah and Esther as our "girls in ministry" mascots then kill one another once we get onto the battlefield because we're afraid someone is going to get more attention than us. As we continue this conversation, we must remember that diversity is not the end goal - glorifying God is. As we unite in this goal, diversity is both an essential building block and a priceless reward, and shows the world that God’s love inside us is stronger than the forces trying to divide us. Have you ever wondered how worship leaders choose which songs they use? Have you ever wondered how YOU should choose the songs you bring to your church? After years of planning worship services I can say that there are a few key things that I consider when choosing songs. By no means is this a complete list…and there’s lots of biased sprinkled in all along this process. However, I believe that these ten tips will help you be more confident in choosing the right songs for your congregation. Here we go! So, today, what if we replaced every anxious thought with a worship song? What if instead of worrying about the future, we took a moment and sang praises to our God?